In the current global food market, consumers are more concerned than ever about the food that they eat. Within this framework, several legal actions have been launched by European Union (EU) countries, United States of America (USA), and China, among other countries, in order to guarantee food safety. As a consequence, monitoring plans are carried out for the detection of harmful substances in food products and for ensuring that they do not enter the food chain. The presence of residues such as veterinary drugs is carefully monitored due to the adverse effects of these substances on human health. However, the toxicity of veterinary drugs or pharmacologically active substances in foodstuffs greatly depends on their concentration levels. In this sense, concentrations levels lower than the maximum residue limits (MRLs) established by Regulation (EU) 37/2010 should not involve any risk to health. Nevertheless, certain veterinary drugs such as chloramphenicol, nitrofurans or 5-nitroimidazoles (5-NDZs) are considered dangerous at any concentration level. 5-NDZs are a family of antimicrobials with great importance in human medicine. These compounds possess antibacterial properties against Gram-negative (e.g. Bacteroides fragilis) and Gram-positive (e.g. Clostridium difficile) anaerobic bacteria. They also have been shown to be effective in the treatment of protozoal infections (i.e. trichomoniasis, giardiasis, and amoebiasis). Metronidazole, which is the most relevant 5-NDZ, is currently included in the list of essential medicines issued by World Health Organization (WHO). However, in veterinary medicine, the use of 5-NDZs is limited to non-food producing animals. The exposure to 5-NDZs should be avoided, except in the case of medical prescription, because several studies have attributed carcinogenic and mutagenic properties to these substances. Nowadays, their use is forbidden in animals intended for human consumption according to Regulation (EU) 37/2010. Despite this ban, the presence of 5-NDZs is still detected by residue monitoring plans in food products of animal origin. Food alerts are notified by, for example, the Rapid Alert System for Food and Feed (RASFF) portal which reports food safety issues within the EU. Under this context, environmentally-friendly and cost-effective analytical methods are required for the reliable and sensitive determination of 5-NDZ residues in food. Liquid chromatography (LC) coupled to mass spectrometry (MS) is usually used in the analysis of 5-NDZs. Although MS technology results essential for the unequivocal identification of veterinary drugs in food, other methodologies involving cheaper instrumentation (e.g. ultraviolet (UV) or fluorescence detectors) can be applied for monitoring the presence of an analyte or a group of analytes at the first level of interest. This means that all samples submitted to routine analysis or monitoring plans could firstly be analyzed by, for example, LC-UV (screening analysis), and only non-compliant samples must be further analyzed by LC-MS (confirmatory analysis). Consequently, analysis costs are reduced because the number of samples submitted to LC-MS is also minimum. In addition, new trends in analytical chemistry are directed towards the miniaturization of analytical instruments. The miniaturization of LC has led to the appearance of capillary-LC and nano-LC techniques which involve lower mobile phase flow rates and, as a result, lower solvent consumption, providing more cost-effective analyses. The reduction of solvent consumption also supposes a decrease of waste generation, resulting in greener analytical methods. 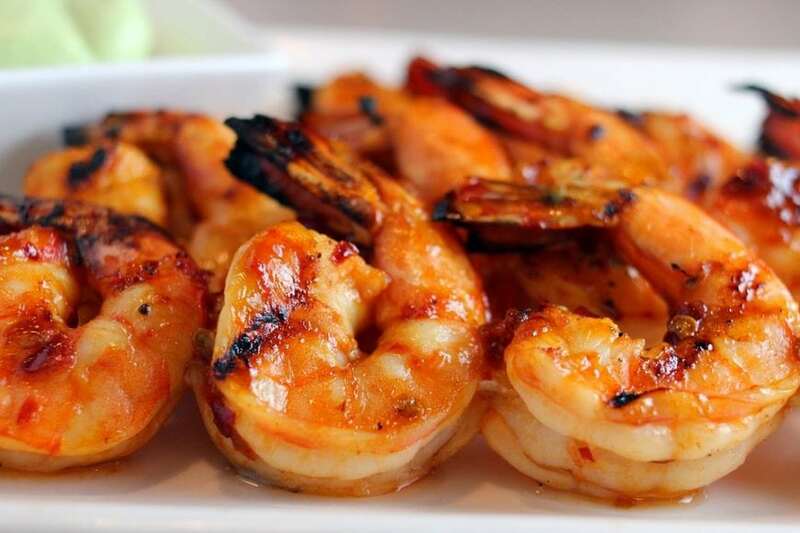 Based on the advantages provided by capillary LC-UV methodology, we have developed a novel analytical method for the analysis of 5-NDZ residues in aquaculture products namely crab, salmon, prawn, and velvet swimming crab. Despite fish muscle and crustaceans are considered as relevant matrices or samples by European Union Reference Laboratories (EURLs) for the monitoring of 5-NDZs, few analytical methods have been reported for this purpose. The proposed method allows the separation and detection of eleven 5-NDZs, including their more relevant metabolites (i.e. hydroxylated metabolites), as indicated in Figure 1. Samples were submitted to the developed sample treatment in order to avoid the co-elution of matrix compounds with targeted analytes. Sample treatment protocol consisted of solid-liquid-liquid (sample-water-acetonitrile) extraction followed by molecularly imprinted solid phase extraction (MISPE), which is a variety of solid phase extraction (SPE), widely used for sample clean-up in residue analysis. In a typical SPE procedure, samples are initially loaded onto a cartridge containing a sorbent (e.g. octadecyl (C18), primary secondary amine or alumina particles, hydrophilic-lipophilic balanced polymers, etc.). Targeted analytes and/or matrix compounds are retained in the cartridge due to the interactions between them and the sorbent. These interactions can be weakened by solvents with selected characteristics. The selection of the solvents is crucial for achieving the separation of targeted analytes from matrix compounds and their collection in different fractions of the eluate. As a result, sample clean-up is achieved. In MISPE, molecularly imprinted polymers (MIPs) are used as sorbents and provide higher selectivity than conventional SPE sorbents. MIPs are synthetic materials which are able to selectively recognize a particular chemical in the presence of closely related interfering species. MIPs contain specific recognition sites with a shape and geometry of functional groups complementary to those present in the template molecule which has to be identical or related to the targeted analytes. Nowadays, MISPE cartridges are commercially available for 5-NDZs (SupelMIP®SPE-Nitroimidazole cartridges, 50 mg, and 3 mL; Sigma Aldrich, St. Louis, MO, USA). Although low selectivity is attributed to UV detection, it was not observed any matrix compound presenting the same retention time than 5-NDZs, except for metronidazole in velvet swimming crab samples. Therefore, MISPE has shown to be a very selective technique for the extraction of 5-NDZs from complex matrices and a very effective sample clean-up procedure. The developed MISPE-capillary-LC-UV method was characterized in terms of linearity, limits of detection (LODs), limits of quantification (LOQs), extraction recoveries, precision and trueness for all the above-mentioned matrices. These parameters define, amongst other things, the performance characteristics of the analytical method and they result essentially for the further implementation of the method in routine analysis and residue monitoring plans. Method characterization was carried out for each 5-NDZ in each aquaculture product using spiked samples, except for metronidazole in velvet swimming crab samples due to its co-elution with matrix compounds under the optimized LC conditions. However, the fraudulent use of metronidazole in this type of product can be monitored by the proposed MISPE-capillary-LC-UV method through the detection of its metabolite (hydroxyl-metronidazole). On the other hand, MS analysis is required in order to discard that the analyzed velvet swimming crab samples already contained residues of metronidazole and to confirm that the co-eluting peak is a matrix compound. LODs lower than 3.2 μg/kg were obtained for all the studied 5-NDZ compounds in all evaluated matrices. Therefore, the developed MISPE-capillary-LC-UV method allows the determination of 5-NDZs in aquaculture products from very low concentration levels (LOQs < 10.5 µg/kg) to 150 µg/kg. Furthermore, and based on precision studies, this method allows the quantitative analysis of nine 5-NDZ compounds whereas ipronidazole and dimetridazole can only be qualitatively determined. In conclusion, MISPE-capillaryLC-UV is proposed as environmentally-friendly and cost-effective for the selective analysis of 5-NDZ residues in a wide range of aquaculture products. In order to implement this method in routine analysis, it should be firstly validated using reference materials or similar approaches. 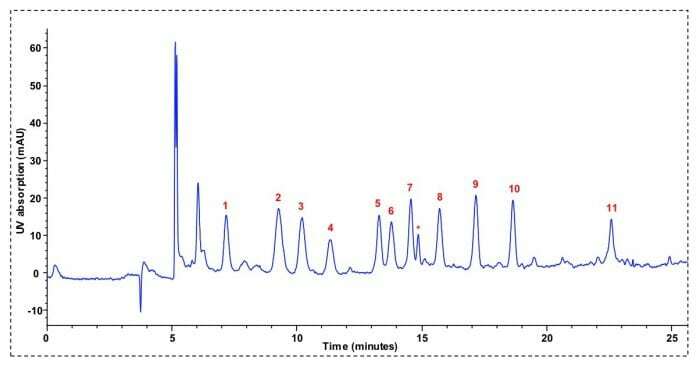 These findings are described in the article entitled Evaluation of a selective approach for the determination of 5-nitroimidazoles in aquaculture products by capillary liquid chromatography using molecularly imprinted solid-phase extraction, published in the journal Food Analytical Methods. This work was led by Dr. Maykel Hernández-Mesa, Dr. David Moreno-González, Dr. Carmen Cruces-Blanco and Dr. Ana M. García-Campaña from the Quality in Food, Environmental and Clinical Analytical Chemistry Group at the University of Granada. Maykel, David, Carmen, and Ana are research scientists at the Quality in Food, Environmental and Clinical Analytical Chemistry Group at the University of Granada.